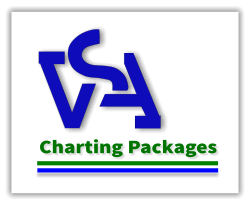 The VSA Charting Package contains everything you need to become a VSA Trader. A complete mix of software tools, scanners and a complete educational solution. The VSA Trading Course is a complete, integrated and structured course designed to enable you to trade the Markets using VSA. Using a mix of video, multimedia and PDF documents, the course covers everything you need to start trading in harmony with the "Smart Money". 8 modules containing 36 presentations cover every aspect of trading with VSA. The sequential scanners automatically scan a chart in up to 10 time-frames simultaneously to provide a visual representation of trend alignment over 25 bars. This makes it very easy to see where there is trend alignment, or congestion. When a Volume Spread Analysis (VSA) principle is triggered it appears on the bar in the time-frame it was triggered, so you can go straight to the chart to analyse a potential entry opportunity. VSA software tools provide valuable guidance on when to enter a trade and when to exit a trade. The VSA indicators split into 2 types. The first type indicate indicate signs of weakness or strength which could lead to a change in market direction, the 2nd type are confirmation signals to confirm the change. These uniquely powerful signals provide crucial decision support when taking the trade. Strategy Documents - simple rules-based trading frameworks which make the process of trading much simpler and easier to learn. We have broken the entire trading process into simple steps and easy to follow rules..
SMART technology has refocused the entire trading process. Until the invention of SMART technology 80% of the time was spent in market analysis and chart reading and only 20% on actual trading. With SMART that ratio has reversed. Now everything is scanned, managed and monitored in one place. For the first time the trending tools and the volume tools are now analyzed automatically with the SMART process. In a nutshell the system will scan the larger time-frames and alert you when there is alignment across time-frames and trends. Once you see this you can then ask the system to scan for VSA confirmation signals. The system will alert you when the signals have been triggered. You can then look at the chart and enter the trade. The system alerts you with visible and audio alerts so you do not need to be tied to the trading platform any more! What option is right for me? If you want to learn the VSA methodology and use it to analyse charts then the Charting Package is right for you. You can use the Scanners to identify trend alignment and the VSA software tools to identify trades setting up using our Scan Confirm Trade trading process. If you are looking for a rules based trading system with pre-defined trading strategies that will scan the markets automatically for trend alignment and then identify trading opportunities, then SMART Strategy Packages are where you should start. If you are a full time trader trading multiple markets and want to build a fully configurable trading package, then VSA SMART Cetner Pro has been developed for the needs of professional traders, prop trading firms and hedge funds. Trading Futures, Options on Futures, and retail off-exchange foreign currency transactions involves substantial risk of loss and is not suitable for all investors. Past performance, whether actual or indicated by historical tests of strategies, is no guarantee of future performance or success. There is a possibility that you may sustain a loss equal to or greater than your entire investment regardless of which asset class you trade (equities, options futures or forex); therefore, you should not invest or risk money that you cannot afford to lose.